In the style of its first cousin, Jack Daniel’s, Samuel Willard’s Tennessee Bourbon is brimming with richness and notes of oak and smoke. A nice delicate caramel finish sets this essence apart from the crowd. Don’t miss out on having this on hand for any occasion. 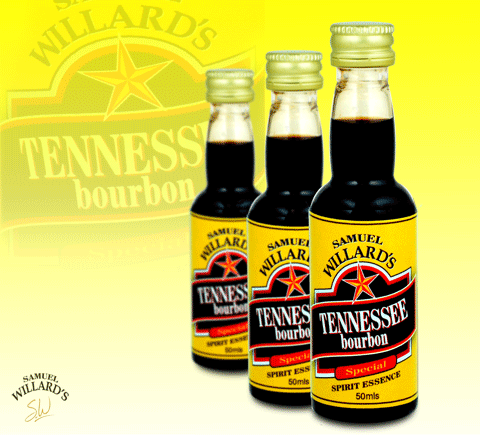 Samuel Willard’s Tennessee Bourbon essence produces 2250mL of spirit from each 50mL bottle.